ProPublica's Gina Haspel Correction: CIA Nominee 'Did Not Oversee Waterboarding of Abu Zubaydah' : The Two-Way The investigative and fact-checking newsroom is retracting parts of its story that had resurfaced after Gina Haspel was picked by President Trump to lead the CIA. ProPublica has issued a correction and apology for its 2017 article about Gina Haspel, a CIA veteran who is President Trump's pick to head the CIA. ProPublica is retracting parts of its story that linked Gina Haspel, President Trump's choice to lead the CIA, with the waterboarding of Abu Zubaydah, a suspected al-Qaida leader who was held at a secret "black site" prison in Thailand in 2002. The investigative newsroom cited new clarifications from CIA insiders as the reason for its correction. It also issued an apology. "We at ProPublica hold government officials responsible for their missteps, and we must be equally accountable. "This error was particularly unfortunate because it muddied an important national debate about Haspel and the CIA's recent history. To her, and to our readers, we can only apologize, correct the record and make certain that we do better in the future." Published on Feb. 22, 2017, the ProPublica story was originally titled "CIA Cables Detail Its New Deputy Director's Role in Torture." It cited criticism from two Democratic senators "who have seen the still-classified records of [Haspel's] time in Thailand" as well as declassified documents and books by "officials involved in the CIA's interrogation program." That ProPublica story is now prefaced by a lengthy introductory note from Editor-in-Chief Stephen Engelberg, who explains how a misunderstanding developed as ProPublica's journalists attempted to connect the dots between the inhumane treatment of Zubaydah and people in power at the CIA. Part of the problem, Engelberg said, lay in deciphering redacted accounts that were available — attaching identities to titles and blacked-out names, and confirming stories with sources wary of revealing classified information. ProPublica moved to correct the record after James Mitchell, one of two psychologists who devised a program of harsh interrogation techniques for the CIA, told the Fox Business Network that he hadn't been referring to Haspel when he described a chief of the base in Thailand mocking prisoner's ordeal. "That chief of base was not Gina," Mitchell said. "She's not the COB I was talking about." ProPublica had cited Mitchell's mention of the CIA leader in Thailand in its original report. But as Engelberg writes, the newsroom had erred by assuming Mitchell's use of two pronouns — she and he — was an attempt to preserve the chief of base's anonymity, rather than reading it as a reference to two different people. In actuality, the "he" referred to Haspel's male predecessor. When ProPublica asked the CIA about the allegations against Haspel last February, an agency spokesman didn't address the news group's questions individually. Instead, Engelberg said, there was a blanket response: "Nearly every piece of the reporting that you are seeking comment on is incorrect in whole or in part." That comment was quoted in the original article — but, Engelberg said in his correction note, "In this instance, we failed to understand the message the CIA's press office was trying to convey in its statement." He also quoted a new statement from Dean Boyd, director of the CIA's office of public affairs. "It is important to note that she has spent nearly her entire CIA career undercover," Boyd said. "Much of what is in the public domain about her is inaccurate. We are pleased that ProPublica is willing to acknowledge its mistakes and correct the record regarding its claims about Ms. Haspel." Revelation of the mistake put ProPublica in the unenviable position of a respected fact-checking organization acknowledging an error. Its reporting on Haspel had been cited by a number of media outlets — including NPR, which has collaborated with ProPublica on other stories in the past. ProPublica says its original findings had been supported by a former CIA officer who said Haspel had overseen American staff at the Thai prison and by three former officials who said she had been the chief of base when Zubaydah was waterboarded. Crucial parts of the story were also corroborated by The New York Times, ProPublica says. The story has made headlines in part because of public interest in Zubaydah — who lost his left eye while in U.S. custody and remains imprisoned at the Guantánamo Bay facility. But ProPublica also says Haspel was instrumental in the controversial decision to destroy recordings of Zubaydah's waterboarding. And it cites The New York Times' report of another detail that still seems to stand: that Haspel was running the CIA prison in 2002 when another detainee, Abd al-Rahim al-Nashiri, was waterboarded. The year-old story about Haspel and Zubaydah rose to new prominence this week, as it was cited by people who say Haspel shouldn't be elevated to the role of leading the CIA. ProPublica had tweeted a link to resurface its 2017 story on Tuesday morning, after President Trump nominated Haspel as director of the CIA, in the reshuffling that was set off by the firing of former Secretary of State Rex Tillerson. On Wednesday, Sen. Rand Paul said he would "do everything I can to block" Haspel's nomination as director, as well as Trump's pick of CIA Director Mike Pompeo to lead the State Department. Paul cited Sen. John McCain, a noted opponent of the use of torture, who said the Senate must scrutinize Haspel's involvement "in this disgraceful program." While ProPublica's retraction would seem to remove one of the most serious claims against Haspel, ProPublica reiterated that after she rose to a new position in the CIA, Haspel urged the agency to destroy 92 videotapes that had documented Zubaydah's treatment, including dozens of waterboardings and other techniques widely viewed as torture. Those tapes were eventually shredded. Despite ProPublica's correction, psychologist Mitchell says he is unsatisfied. "They didn't go far enough," Mitchell told NPR's Ari Shapiro, in an interview to air on All Things Considered on Friday. "They left in things that weren't accurate. Gina did not pressure Jose Rodriguez to destroy those tapes." Mitchell says Rodriguez made that decision on his own, as the CIA's director of clandestine operations. By that time, Haspel had risen to become his chief of staff. In its original story, ProPublica had quoted Rodriguez writing in his 2012 memoir, Hard Measures, "My chief of staff drafted a cable approving the action we had been trying to accomplish for so long." He added, "The cable left nothing to chance. It even told them how to get rid of the tapes. They were to use an industrial-strength shredder to do the deed." Ari also spoke to Engelberg on Friday. The ProPublica leader said he feels that what happened in the newsroom's story about Haspel is not "an acceptable outcome." "When we cover medicine, we talk about what we call 'never events' — like, operating on the wrong limb. I believe in journalistic practice, this a 'never event.' This should never happen." Engelberg added, "You've got to take stock, and you've got to try figure out what went wrong. I think there were things in this that I hope we learn." As for the contentions about Rodriguez, not Haspel, being chiefly responsible for destroying the tapes, Engelberg said, "I don't know, honestly, if we're ever going to get to the bottom of that one." 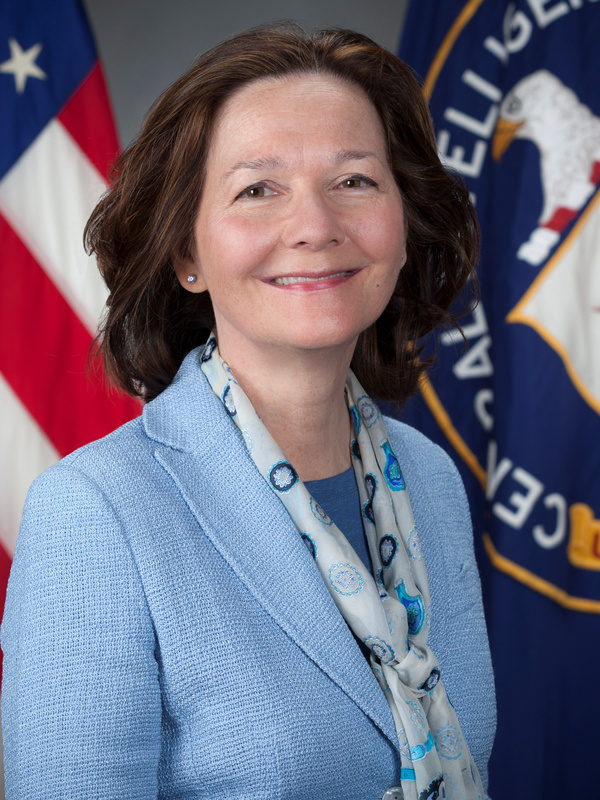 NPR recently cited ProPublica's reporting in a story about Haspel's record and the renewal of the debate over torture. An editor's note has now been added to that story from Wednesday, and a line about her presence "at a black site prison in Thailand" has now been edited to remove a reference to Abu Zubaydah. NPR has also added a note and correction to an interview with the 2017 article's author, Raymond Bonner, that ran in Wednesday's All Things Considered. That segment also quoted Paul's contention that Haspel had expressed "joyful glee at someone who's being tortured." Despite ProPublica's correction to its story, on Friday morning, Paul repeated his intention to oppose Haspel's rise to lead the CIA. "Certainly there is a career officer at the CIA who did not directly participate in waterboarding that we could nominate," Paul said via Twitter, "particularly picking and rewarding someone who was in charge of something so heinous, I think is a big mistake."